Six elements that serve as the foundation for SEO success. Nine critical elements to build on top of the fundamentals. A few of the most important "forward-thinking" parts of SEO. A short and simple summary of how our agency approaches SEO holistically. Get a PDF of this Guide. Search engine optimization (SEO) is the process of understanding how search engines work and creating web content to maximize your visibility within them. When done well, SEO creates a steady flow of traffic to your website from folks interested in the problems you can solve for them. Search engines (particularly Google) have evolved significantly over the years. The science that powers them has become incredibly sophisticated and therefore harder to fully understand. Today, marketers spend a lot of time researching, experimenting, and sharing their findings about what’s working and what isn’t. The complexity and fast-moving nature of search has created a growing community of marketers committed to chasing after the algorithms that decide what goes where. They’re constantly testing ideas to understand where to tune the dials to get the best results. At the same time, new tools for searching, such as in-home voice assistants and mobile devices, as well as the daily avalanche of new content being published and optimized makes SEO ever more challenging. All of this has prompted major changes in “how we SEO.” What used to work reliably well eight to ten years ago has a very small chance of achieving the same level of success today. Simple keyword placement and link building, for example, are still important foundations, but they’re only a start. Today, your entire website must be optimized for a network of keywords and phrases bound together through context and meaning. So what does all of this mean for a company looking to get found through search? This guide offers a clear and concise look at what’s most important and what you can do right now to move the needle. We’ll cover the age-old principles and more modern components of SEO as well as our agency’s own philosophy when it comes to building an SEO strategy suited for success today and tomorrow. Want a PDF of this guide? Submit the form below. 80.5% of the total search engine market is dominated by Google (up from 65.5% in January 2016). 75% of people never scroll past the first page of search results. Give those stats a second to sink in and the point becomes clear: you need to be on the first page of results for keywords searched by people who are considering, or may consider, buying from you. But to understand how to rank well in search engine results, you first need to know how search works. Let’s briefly take a look under Google’s hood. Basically, search works like this: Search engine spiders (bots) crawl around the internet reading and indexing as many pages as they can. Then they decide which pages are most valuable to searchers and display that content to them in search results. Put even simpler, search engines find and organize information, then offer it back to those looking for it––often in the form of answers. Search engines constantly scour billions of pieces of content, building an index and evaluating thousands of factors to determine which content is most likely to answer your query. ‍When someone searches something, the search engine sorts through its index and returns results it deems most relevant and useful to the searcher's query. Those results are ranked according to the relevance and popularity of the websites serving the information. Even with this basic explanation, we can get at the goal of SEO: Influencing a website’s relevance and popularity in order to appear more frequently in search results. Great. Now we have a new question to tackle: How do search engines decide what’s relevant and popular? Answer: an algorithm. Google and other search engines use an algorithm to analyze our searches and return results. This algorithm uses thousands of factors, some more mysterious than others. Since Google is the most widely-used search engine and has the most sophisticated algorithm, we’ll focus on it specifically. Google’s algorithm is constantly evolving. Today, it can recognize not only what you’re searching for, but the context in which you’re making that search. This can be a very simple contextual cue, like knowing what city you’re in when you search for tacos, or it can be more complex. The “related questions” box that sometimes appears in search results is a good example of how Google has learned that people who search for one topic usually search for another, so they prompt those answers after the first search to make the experience as convenient as possible. Years ago, Google wasn’t quite this smart. If you wanted to rank for “commercial printing,” for example, you could simply stuff a page with that term and have a good shot at ranking well. Today, that’s not a winning strategy. Competition for keywords and the incredible amount of content published every day has forced Google to be much more thoughtful in how it decides what it places on page one. This means SEO needs be much more thoughtful, too. As I said before, this stuff is complex, so instead of going needlessly far down the rabbit hole, we’re going to go just as far as we need to be practical. Let’s briefly look at the major two-step evolution from yesterday’s search engines to those of today. PageRank was a breakthrough system for grading websites developed by the founders of Google in the 1990s. It was the “engine” in Google’s search engine for years. Here’s how it worked in a nutshell: The system graded the quality of a webpage or website by the number of links to it from authoritative, relevant websites. Think of these “backlinks” as votes. If an authoritative website links to you, it’s essentially a “vote” for you. The more votes you get, the higher you rank. When PageRank ruled, backlinks ruled SEO. Backlinks are still an important ranking factor, but there’s much more to it today. RankBrain was developed to handle today’s massive search volume by harnessing all that data and learning from it using artificial intelligence. While this algorithm uses up to 10,000 sub-signals, the two most important ranking factors are links and words. Specifically, RankBrain identifies the connections between links and words so it can understand the context of what’s being asked or searched for and deliver smarter results. In essence, RankBrain, along with everything else factoring into Google’s algorithm, is trying to think like a human to deliver the answers and results humans want. Six elements that are the foundation for SEO success. They’re must-haves for most websites to rank well in search. They get most of their power from being combined with each other, so think of these as pieces to a whole rather than separate entities. Nine critical elements to build on top of the fundamentals. Top-performing pages and sites typically score well in most, if not all, of these SEO essentials. ‍Some of the most important “forward-thinking” parts of SEO. These concepts are on the frontline of research and experimentation. They’ll likely expand and become more significant as time goes on. A short and simple summary of how our agency approaches SEO holistically –– baking it into every website and piece of content published for prospects to find and use. These six elements are the foundation for SEO success. They’re must-haves for most websites to rank well in search. They get most of their power from being combined with each other, so think of these as pieces to a whole rather than separate entities. Following the best practices for page structure helps ensure your content can be better understood and displayed in search results. Page appearance and page layout are similar to page structure, and both are confirmed Google ranking factors. Having a clean, modern design with clear navigation and site elements can lead to better engagement, more shares and links, and increased conversions. Organize your content into clear hierarchy of titles, headings (h1, h2, h3, etc. ), body text, lists and tables. Group topically-related ideas together, i.e., within the same content blog, paragraph, list, etc. Use an “Inverted Pyramid” style of writing (start with the lead, explain the details, then provide context). Optimize further for featured snippets. Make your navigation clear and simple. Put your prominent content higher on the page. Provide supplemental content or links to such content. Provide a clean, modern user experience. Avoid overly aggressive or intrusive pop-up or ad elements. The words you choose and how they’re strung together is at the core of SEO. To target users searching for specific words and phrases, you absolutely need to include those words, phrases, and topics in key sections of your pages. Years ago, you could get by with “keyword stuffing” as the beginning and end of your entire SEO strategy. Today, that’s not the case––Google’s hip to the game. Search engines are analyzing semantic clues like synonyms, variations, topics, and sentence sequencing to understand the meaning and context of your content. That said, you should still include keywords while creating these semantic signals in key areas such as the page title, meta description, URL, page headings, body text, image alt attributes (when appropriate), and metadata. Follow the tried-and-true on-page SEO best practices. This guide from Moz offers a deep dive into everything you need to know. Check out this wonderful reference to see how it’s done: The “Perfectly Optimized” Page. Go beyond simple keyword optimization and start including synonyms, close variants, page segmentation, co-occurring phrases and more. This guide from Moz has everything you need. 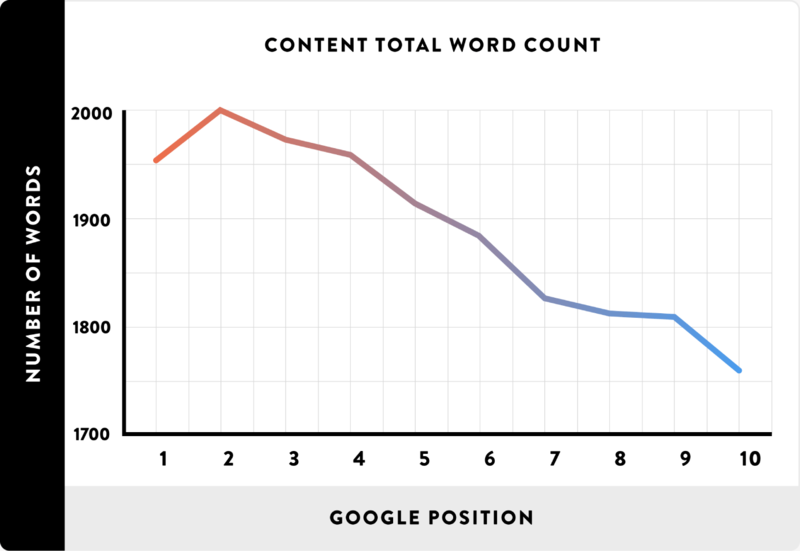 SEOs often debate whether or not content length (word count) is a direct ranking factor. In general, most agree that instead of worrying about length across the board, you should focus on how much depth is appropriate for the question or topic you’re addressing. Still, longer content does tend to rank better as it lends itself to more satisfying user experiences and more links from other websites. Don’t think about content length in a vacuum. Consider how deep you need to go to fully answer a question or address a topic. If an idea can be fully explored in 500 words, don’t add filler for the sake of length. Understand the topic you’re covering from every angle and decide how much or how little you need in order to be thorough. It’s hard (and getting harder) to rank for a competitive keyword or phrase with a single webpage––or even a few. Those who consistently see success in search regularly publish content covering topics from every angle. This process lends itself to links and, what some believe to be an “authority” score passed within Google. What’s more, success in search for a specific topic typically makes it easier to rank for other keywords with new content in the future, so it’s important to create a content strategy that naturally makes you an authority in your space. Develop a content strategy that positions you as an authority on the core topics that play into what your customers’ care about most. Create multiple posts and pages geared for an audience of buyers and those who’ll link to you. Create topic clusters––pages that cover a core topic and link internally to other pages that cover sub-topics in-depth. These are called “pillar pages.” More on that later. Structured data is your content’s content. In eCommerce, it’s the aspects of an online product, like price and availability, that are set up for Google to read and serve in search. While not a primary ranking factor itself, testing has shown that adding structured data can help some in situations and some types of search results. 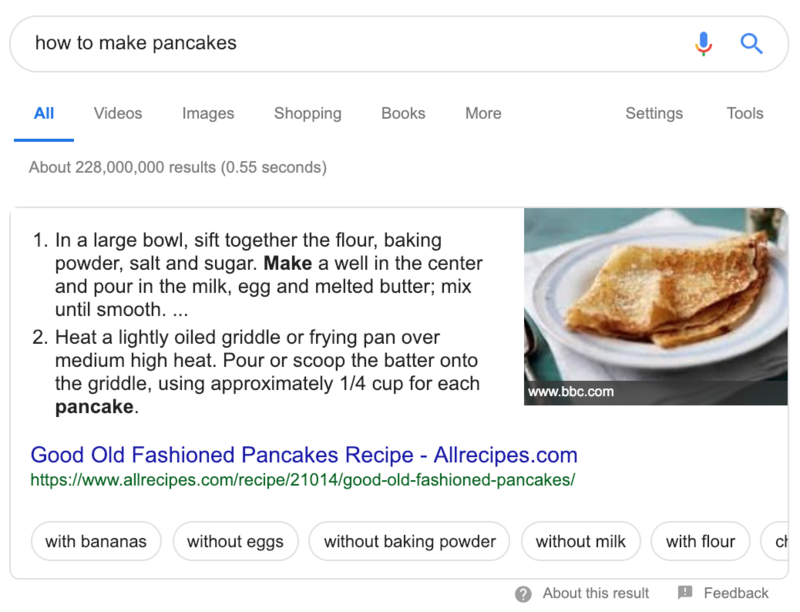 It can also trigger Google to pull a featured snippet––the info boxes that take information from websites and serve them directly within search results. Read Google’s Introduction to Structured Data to familiarize yourself with what it is and if you should worry about it. Test your current markup using Google’s Structured Data Tester. Check out Ahref’s guide to implementing it correctly. As security concerns heighten online, browsers are increasingly warning users when they’re on a site that isn’t secured through HTTPS. Chrome, Google’s browser, is particularly aggressive with this. It’s a good bet that non-HTTPS sites are and will continue to lose out in rank when more secure competitors are available. This is one of the easiest steps you can take to strengthen your website in the eyes of search engines. Many hosting services offer this service for free. If yours doesn’t, check out this HTTPS migration checklist. These nine elements are critical factors that must be built on the foundation we just established. Top-performing pages and sites typically score well in most, if not all, of these SEO essentials. This is the core of SEO. It should be the goal and guiding principle of your work. SEO gives you the unique opportunity to deliver exactly what prospects are looking for, when they go looking for it. In order to target a question, you need to know what people are searching for. This is done through keyword research––a whole area of search marketing onto itself. In general, there are three types of data you should use keyword research to uncover: the query (what people search for), search volume (how many times people search for it), and difficulty (how competitive it is to rank for that query). By comparing these factors, you can understand which keywords and phrases you should pursue based on relative interest and difficulty. There are many guides that lay out multiple approaches to keyword research. Here’s a five-step process even a beginner can use once armed with a keyword research tool such as SEMrush, Ahefs, Google Adwords Keyword Planner, or Moz Keyword Explorer. Use your keyword research tool to analyze keyword ideas, gauge demand, and reveal unknown opportunities. Survey the current top-ranked pages for those keywords. Develop content that’s better than existing content. Test your content through paid search ads targeting those keywords. Use this data to determine the relative value of the keyword and build a content strategy around them. Like we said before, search engines do two basic things: crawl and index the internet, and decide which parts of it should get served back to searchers. No matter how much work you put into SEO, none of it matters unless search engines can crawl and index your site. Make sure your robots.txt file isn’t blocking parts of your website you want to make visible in search. Use an SEO audit tool to uncover hidden crawling or accessibility issues that may be hindering your ability to rank in search results. Google Search Console is the simplest and easiest tool for conducting a technical SEO audit. If you want to dive in deep, check out Benjamin Estes’s comprehensive technical SEO audit guide and checklist. While SEOs speculate on the declining power of links, Google’s own statements and many outside experiments demonstrate their continued value as one of the strongest SEO signals used today. Again, think of links to your site (from reputable sites) as votes for you and your content. Depending on the context of a link (who is doing the linking and what’s being linked to), search engines determine the authority, trust, and relevance of that link. Make sure you’ve established an appropriate internal linking structure that connects related pages and topics together while pointing to your most important pages. For external linking, consider an appropriate ethical link building strategy. Brian Dean of Backlinko has created a wonderfully comprehensive reference to find the one that’s right for you. When creating something for your prospects and customers, you need to ask whether what you’re doing actually satisfies their intent. Don’t let keywords and all the other “best practices” become the driving force behind what you create. Your work has to provide an answer or solution that people are looking for. SEOs use a few different terms to refer to this and the way it’s measured: time-on-page, dwell time, return-to-SERP, etc. They’re all trying to get at the same question: do users find this page to be the most satisfying answer to their question or best solution to their problem? When search engines notice people clicking on your pages only to quickly click back, it’s a clear signal that the answer is no. Although this is so important, it’s frustratingly hard to measure. However, there are a few ways to optimize accordingly. Determine the format and type of content Google likely considers best for satisfying users. If you notice all the top-ranked pages offer videos, for example, it’s a good idea to make a video. Just make it better than the rest. Make sure you’re providing the most complete answers possible. Attack your topics and questions from every angle and anticipate other related topics and questions they might be interested in. Again, if others are competing in your content space, you need to do better than them. Measure and improve your work by paying attention to bounce rate, time-on-site, pages per visit, and Goal Conversion Rate. All of these are available in Google Analytics. If your content offers the same thing as other content on the web, Google has no reason to award it with a better position. Your work needs to rise to the top by being both original and high-quality. Original content also means not duplicating your own work. I sound like a broken record, but it’s really that important. Make sure your content isn’t just copied and re-worked from other resources online. “Content curation” is a self-important way of saying you aren’t willing to put the work into doing something new. Look at what’s ranking well, highlight the gaps, and get innovative to fill them. Plan to update and refresh older content periodically. Control duplicate content across your site. Google’s own guide is helpful here. These three factors have become major measures of trust, both for users and search engines. When Google was easy to game, the internet was flooded with low-quality pages. Eventually, Google combated this with its “Panda” algorithm update, which used machine learning to separate high and low-quality pages. Google’s Search Quality Evaluator Guidelines define “high-quality” as, in part, demonstrating the “EAT” traits. Other qualities include a satisfying amount of high-quality content, a clear indication of who’s responsible for it, and a positive reputation. First, get a baseline for how much “EAT” you currently have using Distilled’s Panda Survey. If you detect room for improvement (and even if you don’t), consider using the on-staff expertise you already have or create a network of reputable content creators who can improve this score by authoring amazing content with authority baked into it. Search results page CTR is another hotly-debated Google ranking factor. Whether or not Google uses it as a signal, however, misses the point. Research has shown that improved CTR typically brings more traffic and other benefits such as links and opportunities for engagement. Many of these benefits influence rankings to varying degrees. Experiment with title tags, meta descriptions, and on-page content, including CTAs to optimize for conversion on the pages your visitors land on. A great first step is identifying high-traffic, low-conversion pages and experimenting to influence actions on pages you know people are looking at. Page and site speed have been confirmed ranking factors since 2010. Your site, and its pages, have to be fast. That’s all there is to say. Use Lighthouse to conduct a performance audit. It analyses your site and spits out actionable steps to take to improve it. Follow its advice, test your speed, and monitor your improvements. Just about everything built for the web these days should be accessible on any device. Mobile-friendliness is a ranking factor and much more. It influences engagement, satisfaction, quality metrics, and general useability. In addition, Google rolled out Mobile First Indexing in 2018, meaning the mobile “version” of your website is the one it will be paying attention to most. At the very minimum, your site should be mobile-friendly. While most modern website platforms make this standard, older or custom websites may be behind the times. Given Google’s Mobile First Index, make sure your important content isn’t stripped for mobile users. Use this tool to test this. So far, we’ve covered the well-established pillars of SEO. Before you go, though, we’ve laid out some important “forward-thinking” parts of SEO. These concepts are on the frontline of research and experimentation. They’ll likely expand and become more significant as time goes on. User experience signals––what people click on, how long they stay on a page, and what they do on that page, have become Google’s new focus (they’ve previously announced that RankBrain was their third most important ranking factor). We described RankBrain earlier, but a major part of it is the way it measures user behavior and factors it into ranking. Dwell Time (how long you stay on a page) and click through rate (the percentage of people clicking on a result) are the two biggest factors here. You want people not only clicking on your pages, but staying there. If, for example, a #1 result gets a lot of clicks, but people leave the page right away, and instead head to the #4 result, which keeps people there for quite a while comparatively, chances are #4 will become the new #1 sooner or later. A recent industry study by SearchMetrics found that the average Dwell Time for a top 10 Google result is 3 minutes and 10 seconds. No matter where your pages are ranking for valuable search terms, getting a long Dwell Time (making people stay on your page) is key. Here are three ways to do it. “Bucket Brigades.” This a copywriting technique that uses certain words and phrases to keep users on a page longer. These words have been shown to make people want to keep reading by introducing an information gap that people subconsciously feel compelled to fill by continuing to read. Simply opening a paragraph with “Look:” or “I can’t emphasize this enough:” or “Here’s the bottom line,” can make pages much stickier. Benefit-Driven Subheaders. Subheaders are important for breaking up text and helping users skim. Benefit-driven subheaders grab and pull at their attention by signaling what’s in it for them. The APP Formula. 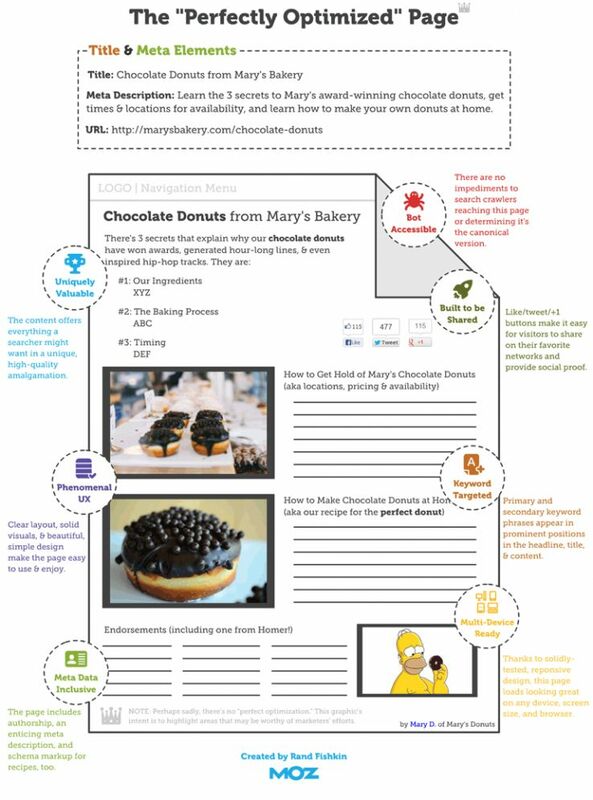 This is a framework for introducing content designed to grab and hold readers to the page. “APP” stands for “agree,” “promise,” and “preview.” It’s simple: introduce your content by introducing an idea or concept your searcher will agree with. This shows you understand their problem and sets the stage for more. Next, give your reader a “peek into a better world” by describing the solution-state they’re looking for. Finally, preview the meat of the content by telling them exactly what they’ll learn and what they’ll be able to do with that information. The way these work is simple: Google scrapes a snippet of information it deems relevant to the query and displays it in a box toward the top of the results. This way, users get their answers without needing to head to another website. Some SEOs lament featured snippets since they may hurt their prized clickthrough rates. But, if you’ve ever come across these snippets yourself, you may have realized they’re far from perfect. Unless your query has a simple answer, they don’t provide enough real estate to go in-depth. That’s why others consider these coveted spots as an opportunity to appetize users with a nugget that leads to more. Find opportunities for being featured in a featured snippet. Ahrefs is an SEO tool that can tell you which keywords you rank for, or have a shot at ranking for and which of those have a featured snippet. Create “snippet bait.” This is a 40-60 world block of content, short list, or small table specially designed to rank in a snippet within a larger piece of content such as an article, blog post, or guide. Years ago, search engines would analyze your pages to see how many times you used a keyword and whether it was in certain places (title tag, URL, image ALT text, meta description tag, H1 tag, etc.) While they’re still looking at content, they’re also focusing on context. It’s very rare that keyword-stuffed content is the best content. Instead, #1 results are increasingly being awarded to pages that cover a question or topic from top to bottom. This way, users get everything they need in one place and everyone wins. 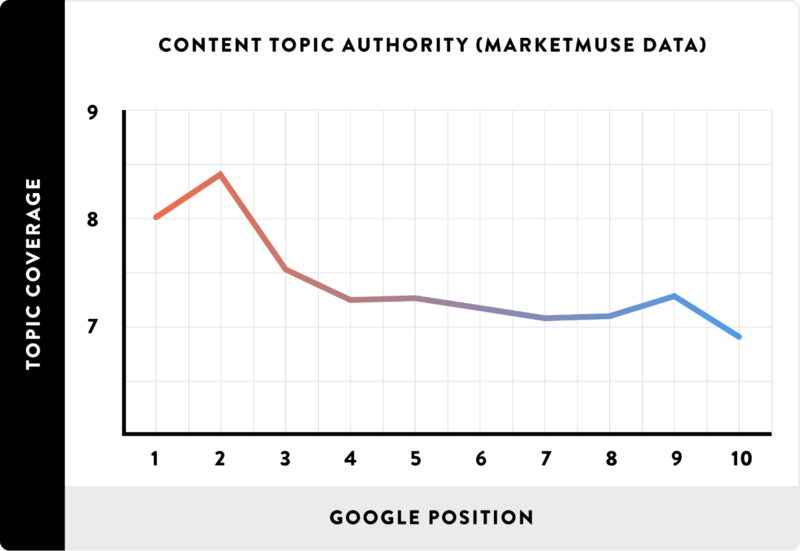 Backlinko’s ranking factors research shown below shows that long, in-depth content covering multiple topics tends to rank best. To write the types of in-depth content Google wants to see, shoot for 2,000-word articles and guides to topics and questions deserving of it. This is a good way to force yourself into a “comprehensive mindset” and develop a knack for in-depth writing. Write authoritative evergreen content. This is the type of content that’s gaining more shares and links compared to less substantive content. Focus on writing about topics you can demonstrate expertise in while crafting that content to be useful not just now, but well into the future. Consider the “pillar page” format for presenting and organizing information. Pillar pages cover a topic from top to bottom as longform content broken into sections or chapters which link out to blog posts and other resources. Users are spending less time on desktops and more time on mobile devices. As a result, Google announced its Mobile-First Index in 2018. There’s a lot to it, but the important point is simple: Google is now considering the mobile version of your site the “real” version. As this new index rolls out, there are a few things to do to ensure nothing falls between the cracks. Make content consistent across desktop and mobile. Bottom line, don’t hide anything on mobile that you’d otherwise show on desktop. Google won’t see it, so it won’t index it. Employ responsive design rather than a separate “mobile version” of your website. Make sure your website offers a great experience on mobile devices. Don’t settle for a website that “technically” works on mobile despite being a pain to actually use. Remember, Google is paying attention to how users interact with your site. If they’re hitting “back” right away, none of this matters in the first place. Start by using Google’s Mobile-Friendly Test tool to get a baseline and work from there. A guide to SEO could go on forever. The more granular you get, the more complex and expansive it becomes. In our experience however, success in search is less about checking the boxes on an endless list of “best practices” and more about creating quality content that abides by the fundamentals we touched on here. If you think about it, focusing first and foremost on quality aligns perfectly with Google’s goal: giving users the best possible search experience – as well as the user’s goal: getting the very best answers and information. In short, if your content doesn’t closely align with what the user is looking for, you’re missing the point. It’s not about ranking first, it’s about getting people to your website to take action. Here at Madison Marketing Group, search engine optimization is baked into our broader content strategy. We spend hours conducting in-depth keyword research, competitor analyses, and editorial planning to ensure our efforts are spent creating and optimizing content that moves your prospects to act. More and more in search, success begets success. Small wins in ranking more general, search-heavy content give you a platform for ranking the niche, original content that differentiates you from competitors and fills your sales pipeline with qualified leads. Talk to us today about putting these concepts to work for you. We’d love to learn more about your company, where you stand in search, and what kind of SEO program fits your goals for growth. Send us a message and get the conversation started now.